In thy presence of the fullness of joy in loving memory of my dear husband John Rothwell Mileshogue died 16th Dec. 1976 aged 55 years. 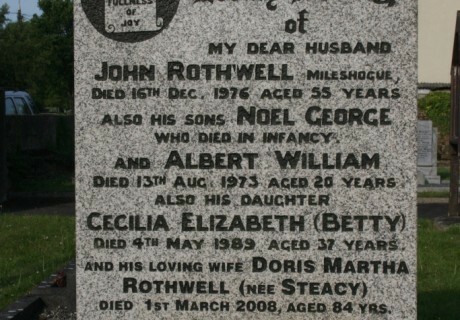 Also his son Noel George who died in infancy and Albert William died 13th Aug. 1973 aged 20 years. 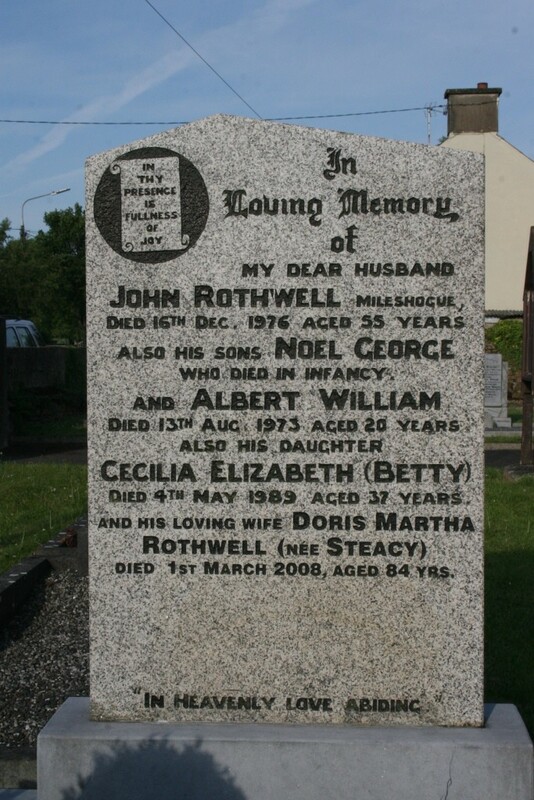 Also his daughter Cecilia Elizabeth [ Betty ] died 4th May 1989 aged 37 years and his loving wife Doris Martha Rothwell [ nee Steacy ] died 1st March 2008 aged 84 yrs.